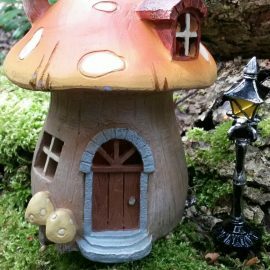 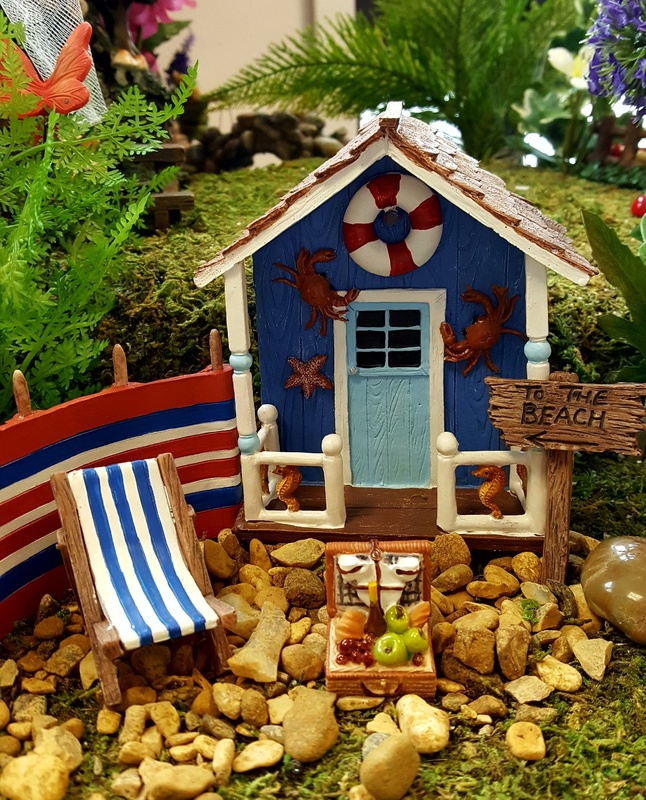 Size 13cm high – 10cm wide. This beach hut is blue with a brown tiled roof. 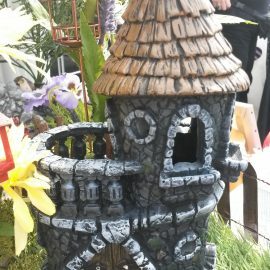 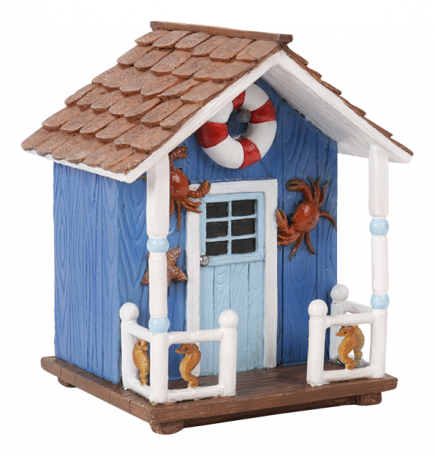 It has a white veranda with seahorse decorating it. 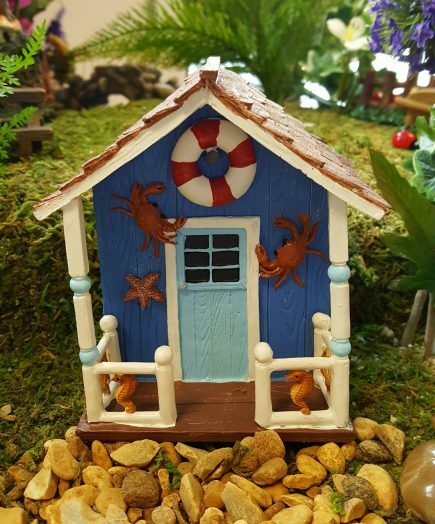 There are 2 crabs,starfish and life buoy hanging on hut.